Each cartridge is painstakingly constructed using materials and techniques acquired from many years of experience. 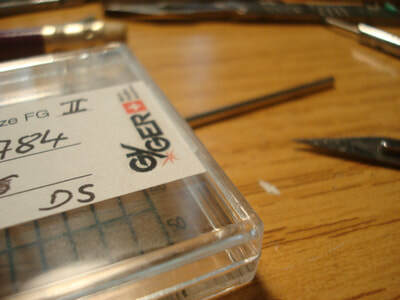 We only use Fritz Gyger tips as we feel these offer the best sound quality and can last many thousands of hours use. We use our own unique cantilever material DHC. This again sounds superior to other exotic materials plus cannot snap and virtually impossible to bend. We developed our own unique damping material, this enables our cartridges to track very dynamic music and will last a very long time. 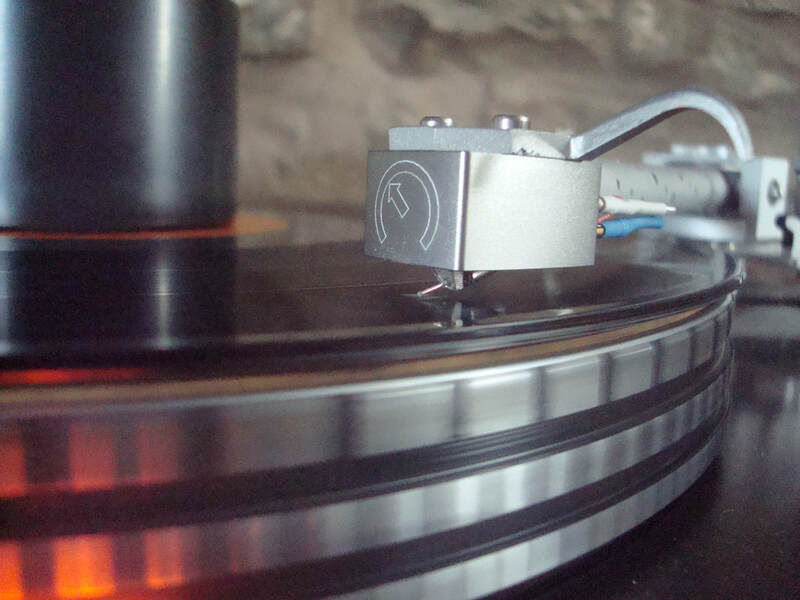 Tips are fitted to a fraction of a degree enabling music lovers to get the very best out of their pressings. No stone is left un turned in our search for vinyl nirvana. 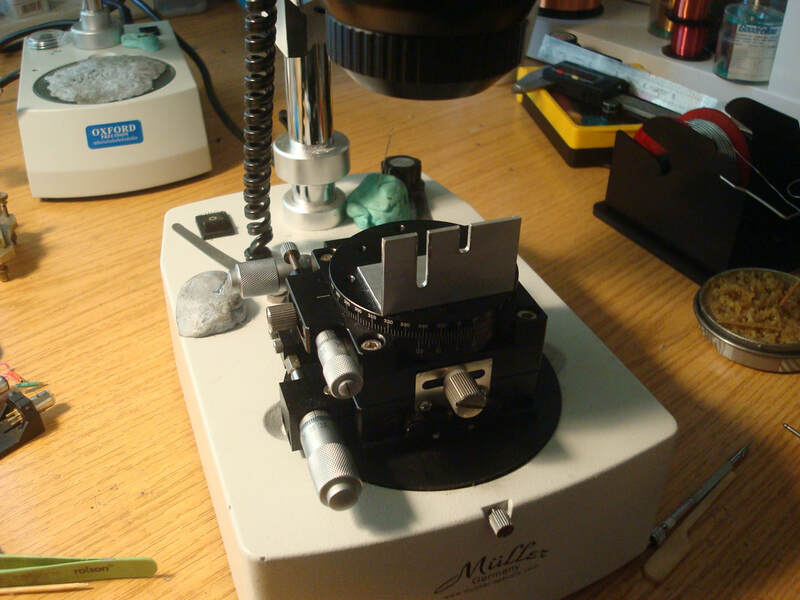 I have studied the design of many moving coil cartridges, spent many years carrying out improvements and repairs. Whilst traditional builds all have benefits, I have developed what I believe is a unique approach to construction. The cartridge is the body, this may seem obvious to some, but it has never been done quite like this. Until a cartridge is made this way it is easy to assume the traditional way is best. Part of the design brief for the DH1 was to increase structural rigidity within the body, therefore reducing any resonance to a minimum. I have a new material for the cantilever I call the DHC. This is a solid rod similar to the well-known boron and gem stone, but slightly more flexible, not only does it sound superior, it is more robust than other solid rod cantilevers. The coils are wound on soft iron cross shaped formers (to improve channel separation) from very high quality copper wire, fitted directly on top of the magnet. No yoke is used in this design. I rely on the natural field lines produced by the magnet itself. The connecting pins are made from solid un-coated beryllium copper. This offers as pure a path for the delicate signal as possible. Finally, the tip is the legendary Fritz Gyger Signature. This is the only tip that mimics the cutter tip. The detail this tip can retrieve from good quality vinyl, is in my opinion, second to none. I wanted to produce a cartridge that was incredibly musical, with detail and insight and provide wonderful three-dimensional abilities and huge soundstage. This cartridge for me represents the pinnacle of vinyl replay. This is in our opinion the best cartridge on the planet! DH3 and DH3 S Moving coil Cartridges. These needs to be heard to be believed. Performance exceeds the best moving coils in the market. Sound is open, extremely dynamic, detailed and very pure. Hand made to order. We use our own DHC cantilever material, Fritz Gyger II or S tip, our unique suspension and our own damping material. 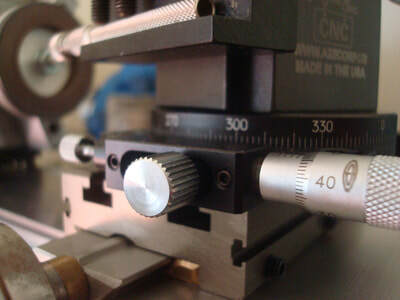 Tip angle is accurate to within one minute of one degree. This is probably the last phono cartridge you will ever need. 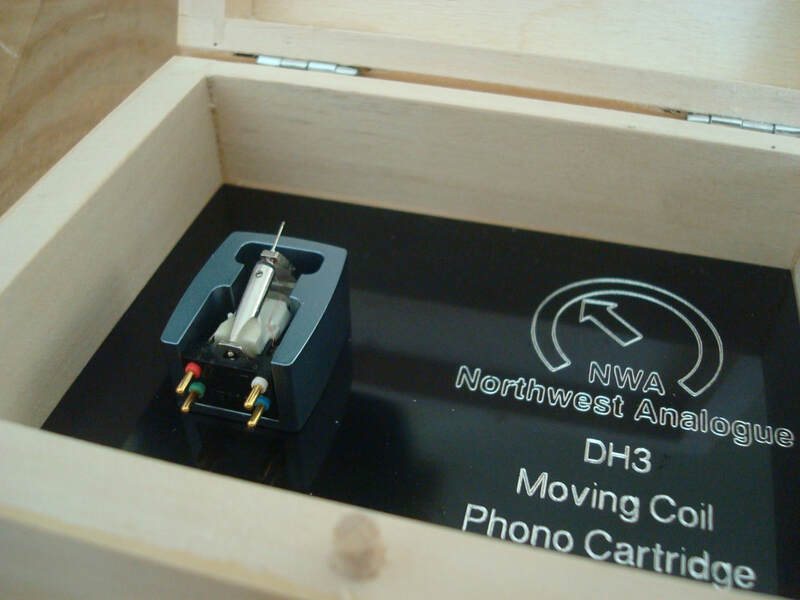 My own DH3 S is on permanent demonstration here at Northwest Analogue. This cartridge takes record replay to a whole new level. If you are serious about vinyl reply, you need to hear the DH3. ​£3200 to £3800 plus postage etc. 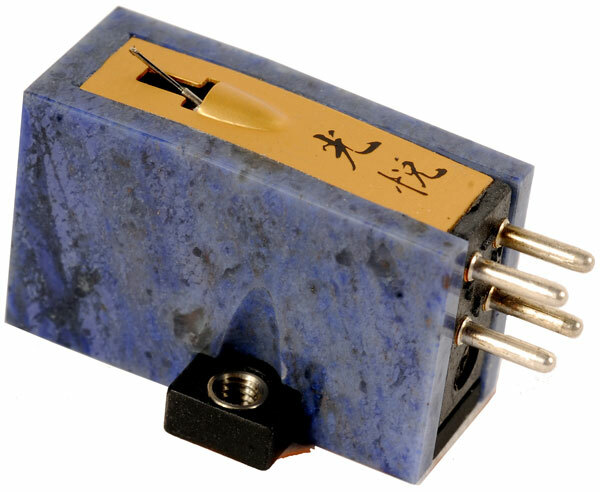 Lyra Phono Cartridges are designed and manufactured by Lyra Co Ltd of Japan and include a line of high end Moving Coil phono cartridges and other products related to phonograph record playback. 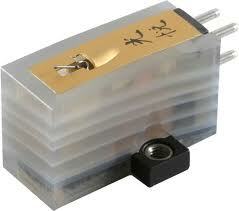 Lyra has been developing and manufacturing Moving Coil phono cartridges since 1985. All products are based on the designs of Jonathan Carr and each Lyra cartridge model is developed by Yoshinori Mishima who is also involved in the assembly and fine tuning process of each and every sample produced. Free UK delivery on these items. Now, in analog's Golden Renaissance and through the efforts of Sugano's sons, Koetsu phono cartridges are again available. To fully appreciate Koetsu, we must know Yosiaki Sugano, artist, musician, swordsman, calligrapher, business executive and creator of the world's most renowned phono cartridges. In post war Japan, Sugano rose to prominence in one of Japan's largest industrial companies, yet continued to pursue his passions, now including hi-fi.